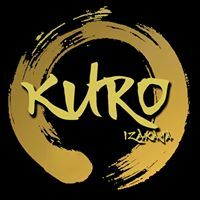 Subscribe to get deals from hundreds of merchants including the best of Kuro Izakaya! Oops! Looks like there are no active promotions for Kuro Izakaya. Valid from 2 January to 31 March 2019, both dates inclusive. Offer is valid from Monday to Sunday, all day. Offer is valid on the 4th main course ordered only. Main Course refers to “KURO Staples” from the KURO Izakaya Menu only. Offer valid on main course with an equal or lower value only. Limited to 1 redemption per card, per bill, per table, per party and per occasion. Diners from the same party are not allowed to split bills and/or tables. Valid for dine-in only, not applicable for private events, take-away or bookings of more than 10 pax. Maybank TREATS General Terms and Conditions apply (PDF). Please always check with the merchant on the validity of the promotion before purchase.